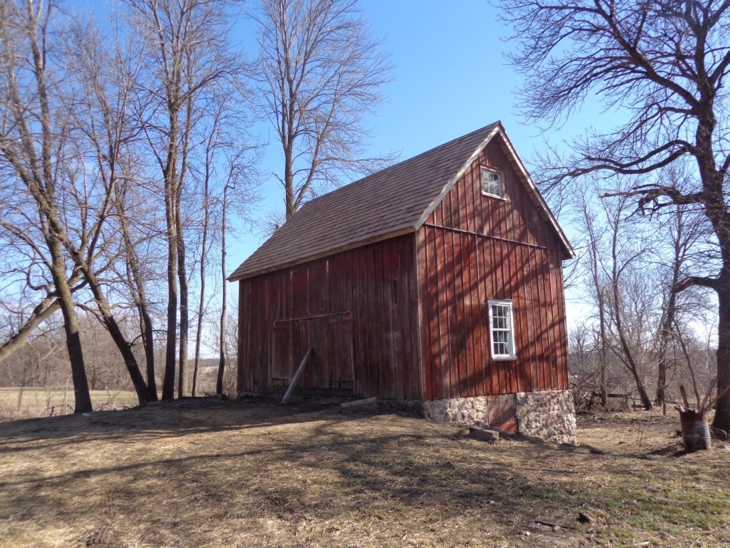 View this detailed 516 page Historic Structure Report on the Andrew Peterson Farmstead. Note: This is a lengthy pdf report, so please allow for extended loading time. Keep up to date with the Historic Andrew Peterson Farmstead Blog. Check out the Swedish Andrew Peterson website. Visit our Notable People page. Great News – The Carver County Historical Society has received a Legacy grant to translate Andrew Peterson's diary to English. Our plan is to have the finished translation posted to our website in the Fall of 2018. Andrew Peterson and his farm have received their fair share of publicity over the years. For some, the farm is a destination location. For others, it is just an old farm that has been in the news a lot. The significance of the farm has more to do with Andrew Peterson and his diaries, his work with apples and the formation of the Scandia Baptist Church, than the land itself. Between 1820 and 1920, 1.3 million Swedes immigrated to the United State in search of a new life. In 1850, Peterson joined that mass exodus. In his home Kommen of Ydre, ¾ of the people emigrated. What made Peterson stand out from the millions of other immigrants is that he kept a journal from the time he left Sweden until the day before he died in Minnesota. Even with his journal, Peterson would have been lost in the wave of other Petersons if it wasn’t for a Swedish author. Vilhelm Moberg discovered Peterson’s journals at the Minnesota Historical Society, and used them as a primary source for his Emigrants book series. In time, Swedish film director Jan Troell would turn the Moberg books into two major feature films, The Emigrants and The New Land, starring Max von Sydow and Liv Ullmann as Karl Oskar and Kristina. The film was nominated for several Academy Awards and was a winner of a Golden Globe Award. A musical, Kristina från Duvemåla (English title Kristina) by ex-ABBA members Björn Ulvaeus and Benny Andersson is based on Moberg's books. The Andrew Peterson Sallskapet created a musical titled Andrew and Elsa Peterson: the true pioneers. This musical is available in book/CD form, at the CCHS. 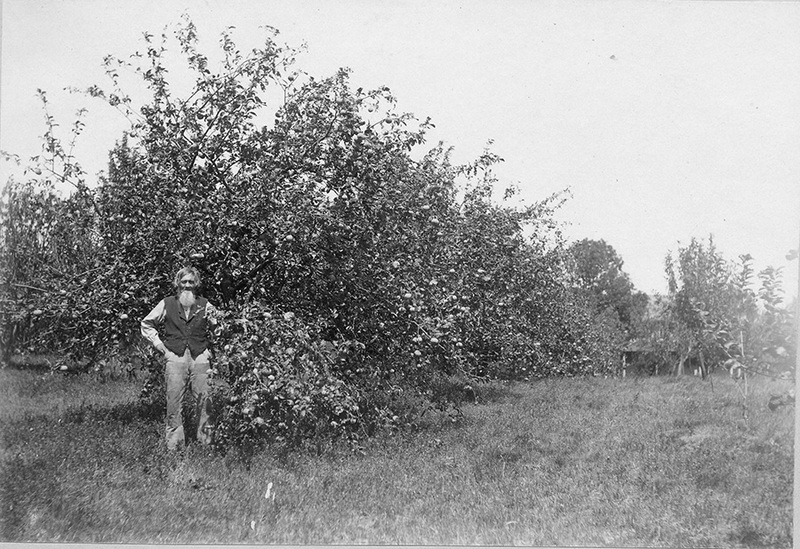 Peterson worked substantially with the development of apple trees. His farm was one of the first research stations for what would become the University of Minnesota Landscape Arboretum. He was recognized several times by the Minnesota Horticultural Society for his work including receiving a lifetime membership. 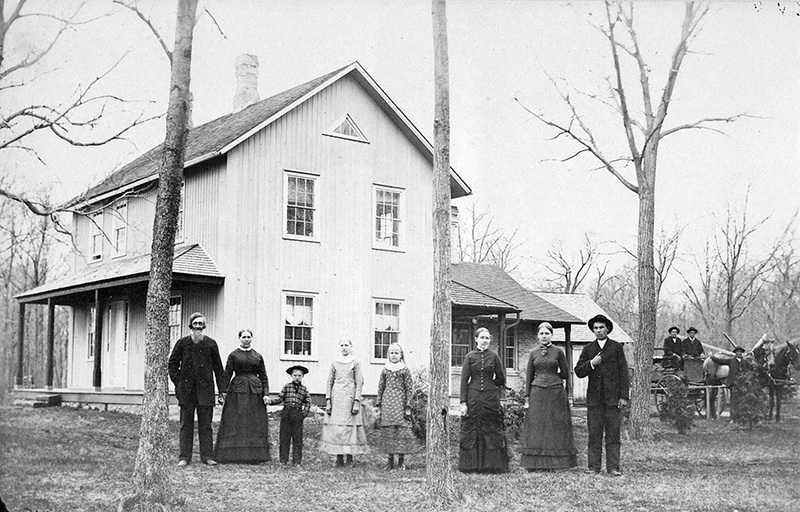 The Baptist church, which was the core for many Swedish emigrants, began in Peterson’s home. It was here that the first meetings were held. Later, a church was built near present day Island View Golf Course. The building was eventually moved to the Bethel Baptist College campus in St. Paul. The Congregation remains in existence as Oakwood Community Church, located on Hwy. 10 just outside Waconia. Cemetery within a Golf Course? Check it out at Island View Golf Course. Island View Golf Course has a unique neighbor; in fact, this neighbor has completely surrounded by the golf course property. The Scandia Baptist Cemetery sits nonchalantly between the driving range and the Maintenance building. This little cemetery was established as a part of the Scandia Baptist Church in 1855, while Minnesota was still a territory by Swedish emigrants. 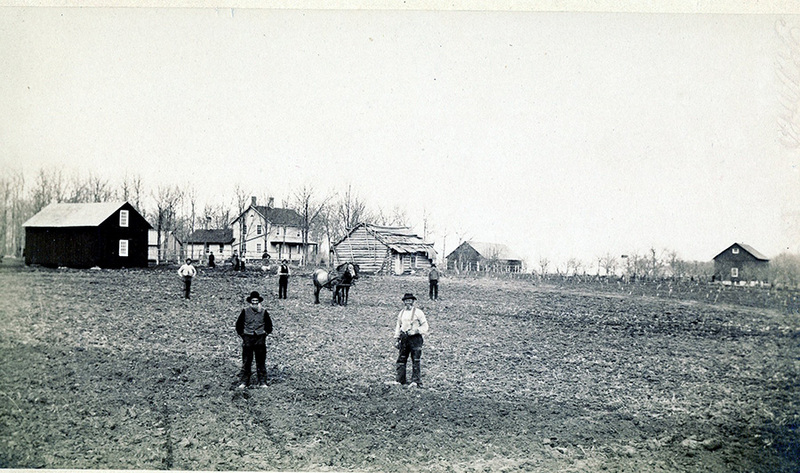 It was in Carver County that the Andersons, Petersons, Brobergs, Lundstens, Tidemans, Peltz, Swansons and others homesteaded with their families. These families were grateful for this opportunity to have a fresh start. 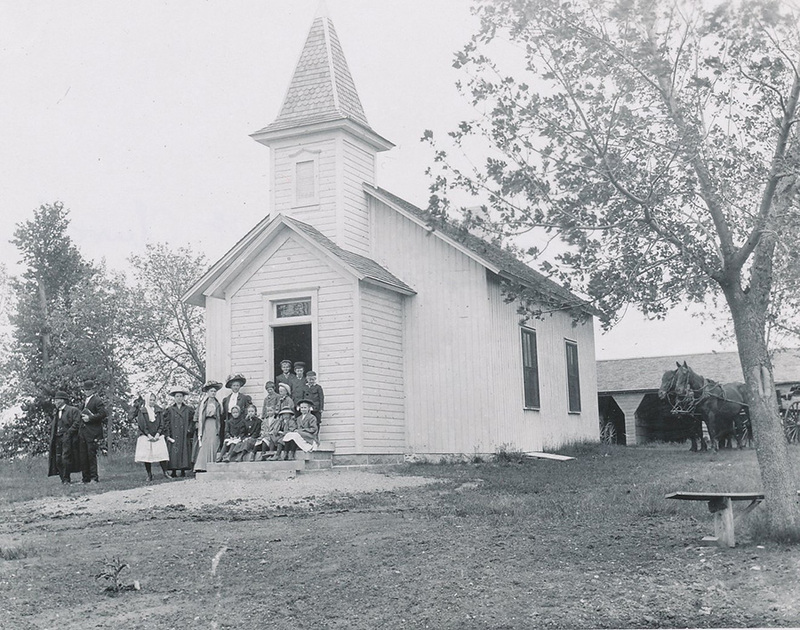 Andrew Peterson, assisted with organizing Scandia Baptist Church, kept detailed diaries of daily life in Carver County. From these diaries, Wilhelm Moberg wrote the book The Emigrants. 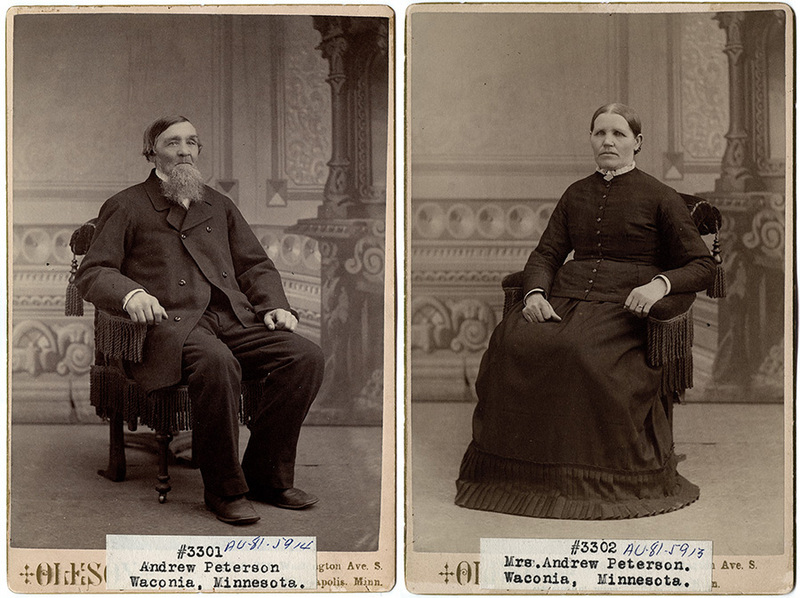 With the Civil War looming, the 4th Minnesota Regiment called on these Swedish settlers to join the militia and head to Georgia, leaving behind their women and children to be cared for by the elder settlers. These stories have been passed along from generation to generation. The little cemetery is under the care of the Scandia Baptist Cemetery Association, whose board members are descendants of those first settlers buried therein. They carry a lot of pride in their heritage and work to keep this little cemetery as a memorial to their ancestors. The Board members come from Roseville, St Paul, Eagan, Minneapolis, and even Waconia. They are interested in finding other descendants of those buried in this cemetery to hear their family stories. If you are a descendant of these early settlers, please consider contacting the Carver County Historical Society for further contact information. Submitted by: KJ Bach, President, Scandia Cemetery Association and great-great granddaughter of Peter Daniel and Caroline Anderson. To find the cemetery: from Highway 5 travel north on County Road 92 about 2 miles, then turn into the driveway for Island View Golf Course. You will find the cemetery on the south side of the road about 100 yards from County Road 92. The incredible documentation of the property can be credited largely to two people who dearly loved the property. Specifically, Jo Mihelich, author of Andrew Peterson and the Scandia Story, and the property’s last owner, Ward Holasek. In the early 1980s, Mihelich decided that a book needed to be written about Peterson. Her drive and commitment saved countless documents and artifacts that would otherwise have been destroyed or sold at auction. The book, Andrew Peterson and the Scandia Story, is currently out of print but plans are in the works to reprint, with all proceeds dedicated to the upkeep of the buildings on the Peterson property owned by the CCHS. The other person who recognized the historic value of the property was Ward Holasek. Holasek, unaware of the historical value, purchased the property and later worked with Mihelich to preserve countless artifacts and helped place the property on the National Register of Historic Places. In 1978, he enlisted the help of the Minnesota Historical Society’s State Architect, Charles Nelson. Nelson reviewed the property and commented on Holasek’s commitment to the property and saving its history. He encouraged history organizations to work with Holasek as Holasek was committed to saving the history of the farm. 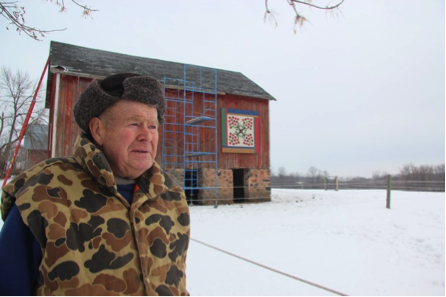 In 2013, Holasek died, leaving his 51 acre portion of the land to the Carver County Historical Society. Unfortunately, his portion only consisted of one historic building, the north barn. WRH Properties owned the twenty acres where the other historic structures stand. The two organizations worked together to find a mutually beneficial agreement. The CCHS would keep 12.17 acres and all the historic structures. In exchange, WRH Properties kept the larger portion of land and the newer buildings. The Peterson farm has been saved "by the skin of its teeth" not once but several times. At the time Ward Holasek purchased the property, there were two homes located on the property. In order to build a new home, Ward and his wife Georgine were faced with the conundrum of demolishing the old Peterson home or the house built in 1920 to meet zoning regulations. They chose to demolish the newer home, thereby saving the original Andrew Peterson home. The granary in question was built by Andrew Peterson. For Sven Lindfors, Olle Karlsson, Pertti Skillermark, and Mikael Karlsson, Peterson and his diaries are important links to understanding Swedish emigrants and their pioneer lives in America. They belong to the Andrew Peterson Society in Sweden which, amongst other goals, wants to help preserve Peterson's farm in Carver County. After two years of fund raising, the Society was able to buy four plane tickets and pay for part of the building materials. During their 17 days in Minnesota, Sven, Olle, Pertti, and Mikael had to face snow, below average temperatures, and wind. No one heard them complain. They were thrilled to be there, working on Peterson's granary. Sven, at 88, has a very steady hand and was working to repair granary windows. The rest were working on the roof, but they had many interruptions, primarily in the form of people coming to see them work and wanting to meet them. For more information about the Swedish Andrew Peterson Society, please visit www.andrewpeterson.se. Mikael and Olle shaping a new rafter for the granary. Mikael was granted permission by a couple of local landowners to cut down a few trees that would work for the project. While most of us were amazed at this level of authenticity, Mikael simply responded, "That's how Andrew would have done it." A group from the Carver County Historical Society listens to Mikael explain their work. Many visitors stopped by to talk with the men once the Star Tribune ran a story about the project. Mikael, who is fluent in English, was generally the spokesman when visitors arrived. Inside the granary are notes, like this one, from generations ago. Before they left, the Swedes left their own mark. They signed one of the new rafters with their names, the date, and a message in Swedish that reads, "They came from Sweden." During the reception, Olle and Sven look at a map of Sweden with Gene Johnson, a trustee from the American Swedish Institute. The Carver County Historical Society Board of Directors held a dinner/reception in honor of the Swedes and John Eklund provided the entertainment. During the program, John told the crowd that his ancestors, the Justus family, arrived in Carver County in 1856 and likely stayed with Peterson or one of his Scandia neighbors before settling on Swede Lake near Watertown. He jokingly mentioned that he too has a Swedish granary from the 1870s that is in need of repair if they had any time to spare. July 2010 is a time period that will long be remembered. It was during this month that not one but two storms hit resulting in the east wall of the north barn collapsing. A number of people from the Friends of the Andrew Peterson Society, the Carver County Historical Society and one County Commissioner, Tom Workman, responded by removing items inside the building, reducing the stress on the structure. In October, the CCHS received a grant from the Legacy Fund for emergency stabilization of the building. Thank you to Hansen HomeTech and all the CCHS volunteers who gave their time. A second grant was received for an assessment by Thorbeck Architects Ltd, to determine if the property could be saved and if so, to create a work plan that the CCHS could use. It was determined that the structure could be saved. With this document in hand, the CCHS proceeded to the next step, foundation work. The barn as stabilization and cleanout are in progress. 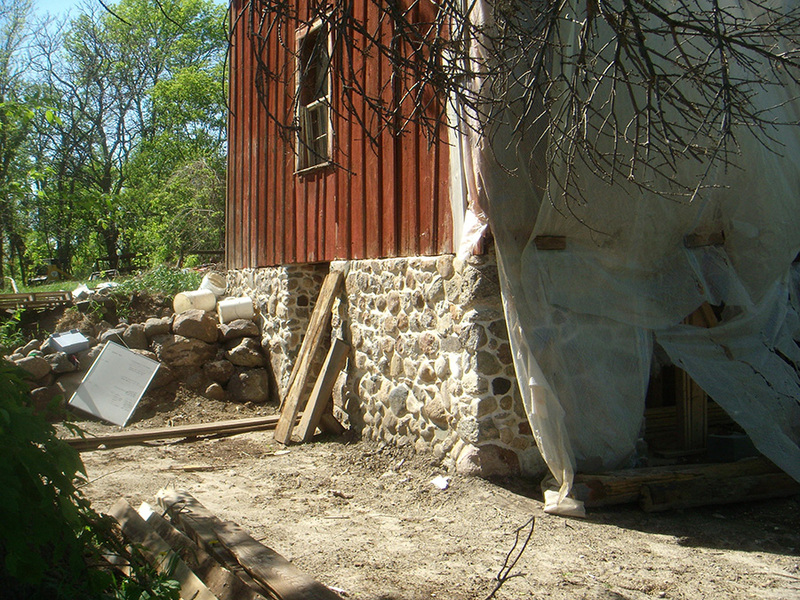 The CCHS applied for and received a grant to begin working on the North Barn to restore the foundation, in the Fall of 2011. Patrick Sieben spent many hours working on the foundation with wonderful results. 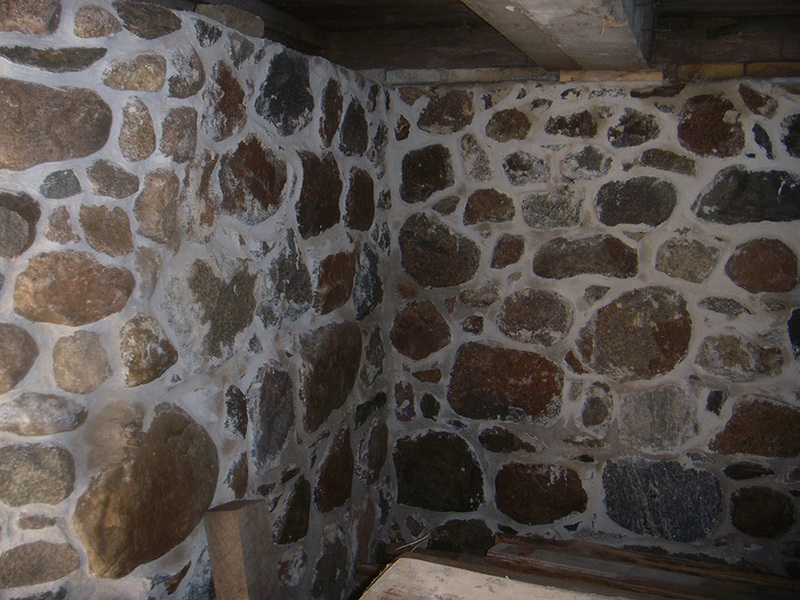 In 2012, the CCHS received two more grants for structural restoration of the North Barn. These projects have been financed in part by the State of Minnesota through the Arts and Cultural Heritage Fund. They included harvesting wood from nearby period-appropriate barns which were being torn down, to be used to replace any rotted or unstable wood in the North Barn. In December 2016, the CCHS received the final grant for the restoration of the North Barn. Restoration was completed in 2017. That same year both a wedding and a graduation party held on site utilizing this beautiful structure. 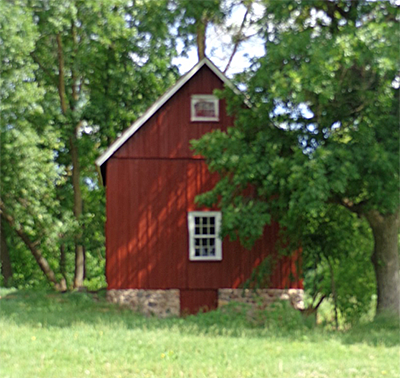 North barn after restoration was completed in 2017, prior to painting. North Barn after full restoration. With the completion of the Historic Structures Report (HSR) in 2017, the CCHS will move forward with capital fundraising and the restoration of the remaining structures. To the excitement of all, in 2017, the CCHS received $80,000 per year for two years for a total of $160,000, directly from the State of Minnesota. These funds will be used to further restore the buildings on the property. Thank you to all the generous donors and supporters who have helped get these projects to completion and keep us moving forward! Ward Holasek loved his land and its history. He told the CCHS on several occasions that his gift was a gift to the community and was to be used for betterment of all. Agricultural history was to be taught in addition to Andrew Peterson’s story. He entrusted the CCHS with his beloved property, knowing we would do all we could to implement and follow his wishes. The foundation after restoration. Thank you, Patrick Sieben for all your hard work.